Use this fully autonomous drone to capture high-resolution aerial photos that you can transform into accurate 2D orthomosaics & 3D models. 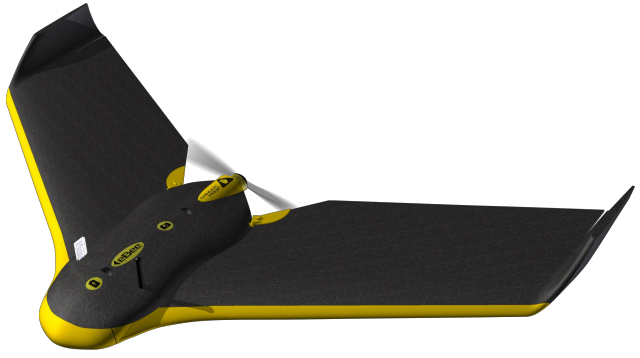 The eBee can cover up to 12 sq. km (4.6 sq. mi) in a single flight, and over smaller areas, flying at lower altitudes, it can acquire images with a GSD of down to 1.5 cm/pixel. The eBee uses a rear-mounted propeller and due to its flexible foam construction it weighs 700 g (1.5 lbs), minimising its impact energy. 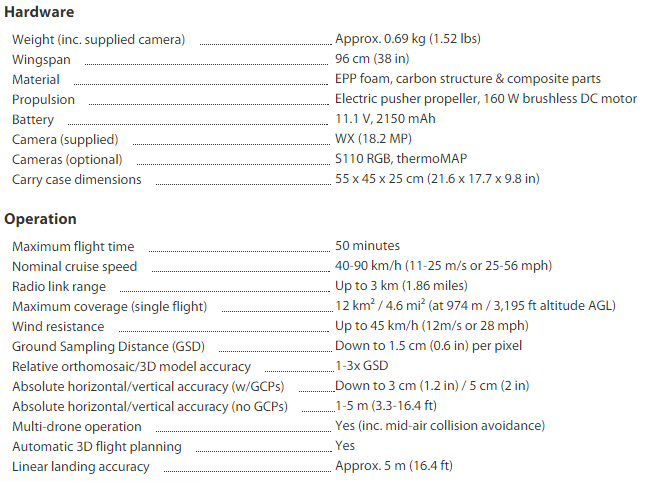 The eBee is supplied with a sturdy carry case and two software packages: eMotion (flight planning and control) & Postflight Terra 3D (professional photogrammetry).